This sign is located at N41 51.617 W80 57.140. The Olympic Midway, also known as Snell’s Midway and the (George) Konold Midway was located on the south side of The Strip west of Golf Avenue. 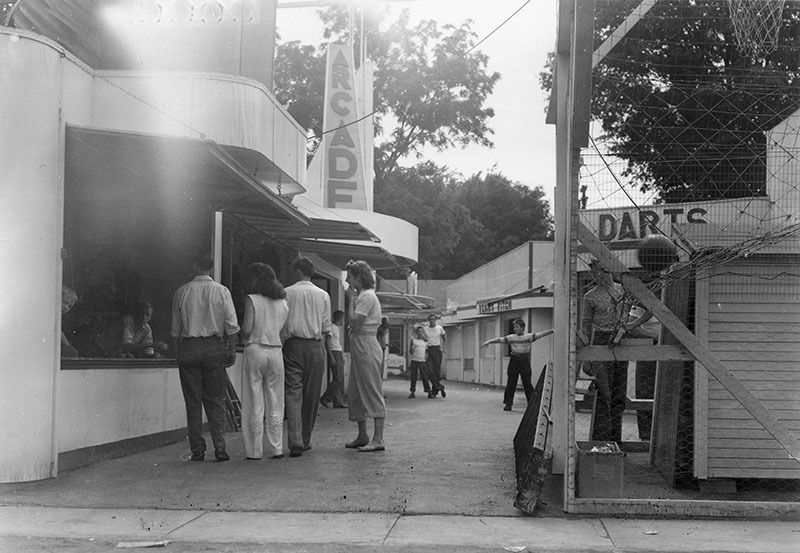 The Midway had two entrances, the main one being off The Strip. Four towers at the back of that entrance marked this wonderland of amusements. 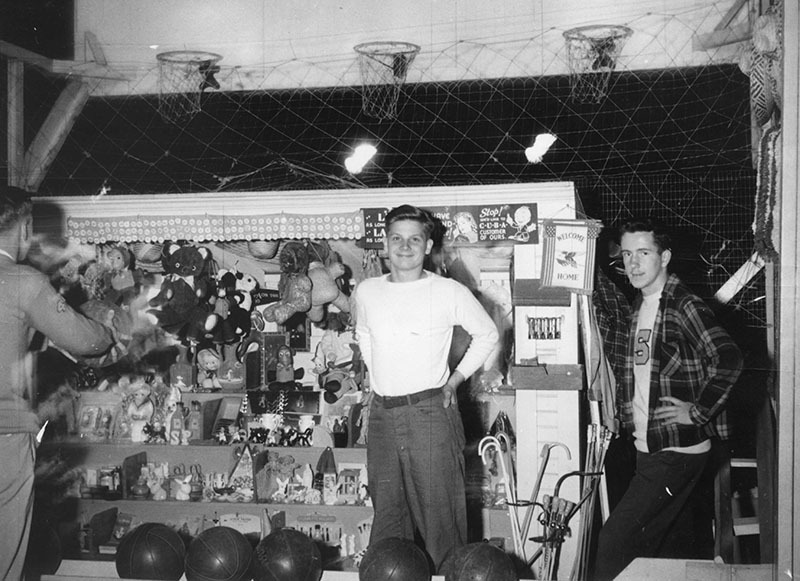 The attractions there included a shooting gallery that used bows and arrows, a “Bumpy Car” game that involved placing a dime on a prize and hoping the car would come to rest at that prize (a pack of cigarettes), a basket-ball shooting game and a number of “penny arcade” games. The latter were particularly appealing to owners because they were self-operating. You needed only a maintenance person and clerk to make change. 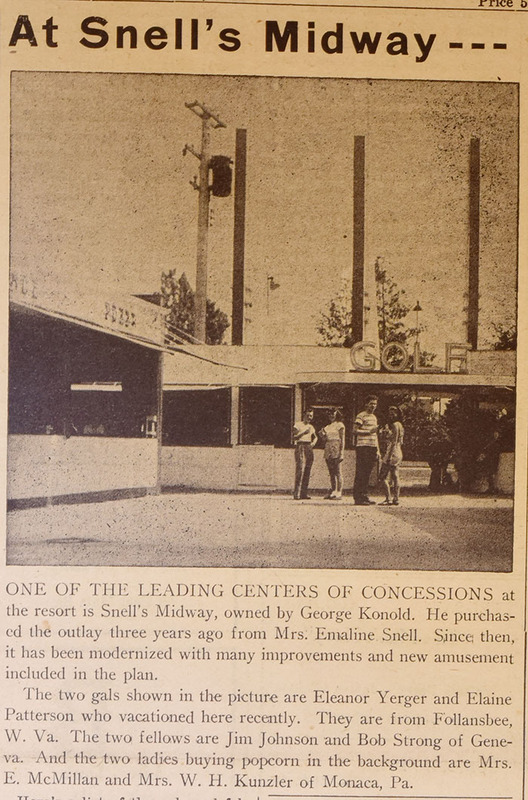 Originally owned by Emaline Snell, George Konold purchased the Midway in 1944. 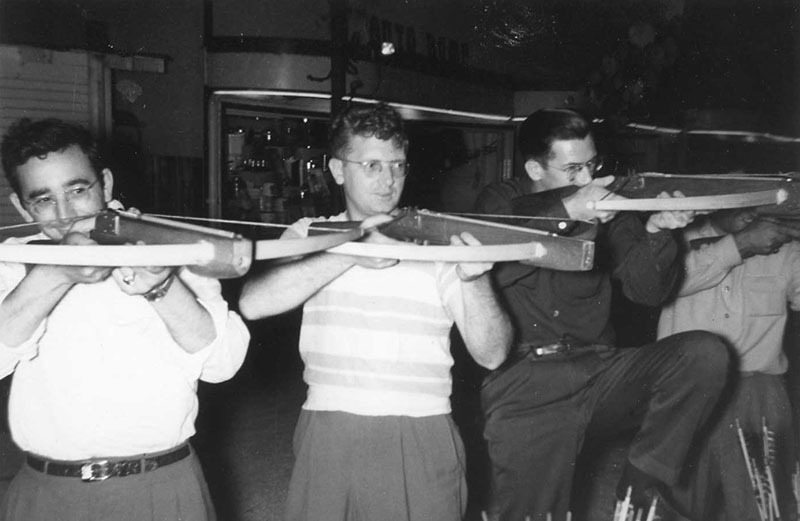 In 1960s a group of investors/owers – Chuck Lotze, Herb Thomas, Harry Smith and Richard Thomas – purchased the midway. 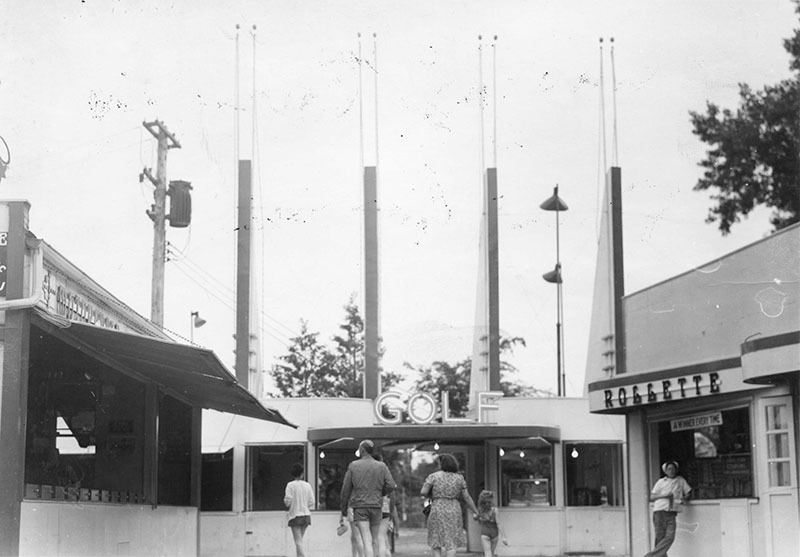 They renamed it the Olympic Midway and made a number of improvements to it, including a large sliding board, a popular amusement park attraction at that time. But the fad quickly faded, and within a couple of years the sliding board was removed. 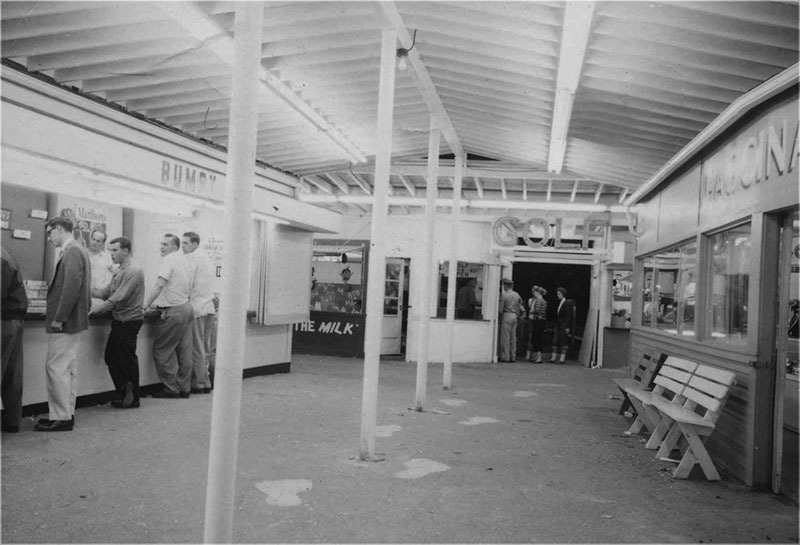 The investors did put a roof over the midway, which encouraged business during inclement weather. 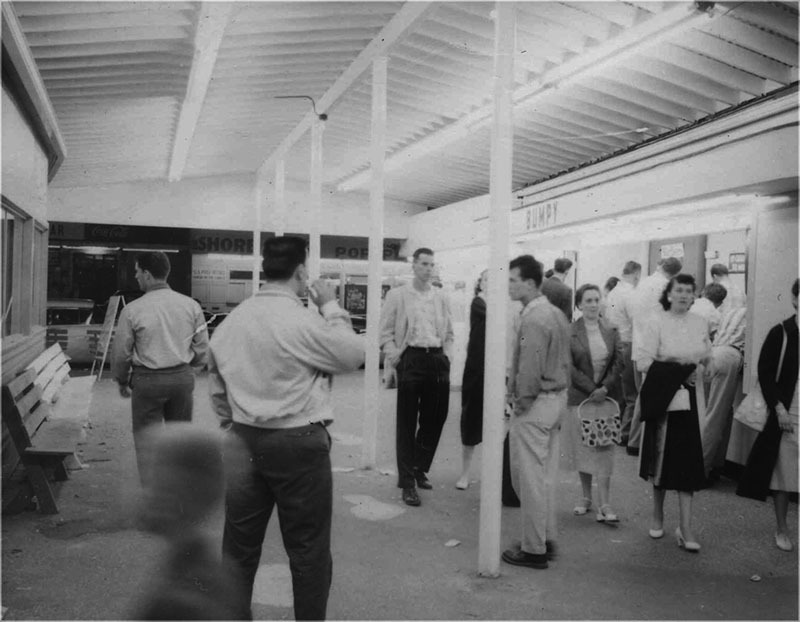 They also installed fluorescent lighting in the midway in order to capture more evening business. Before the Midway opened for a new season, they would have the entire complex painted white to make it look fresh and appealing. Shoot Til You Win basketball game, W. Ross Hayes. 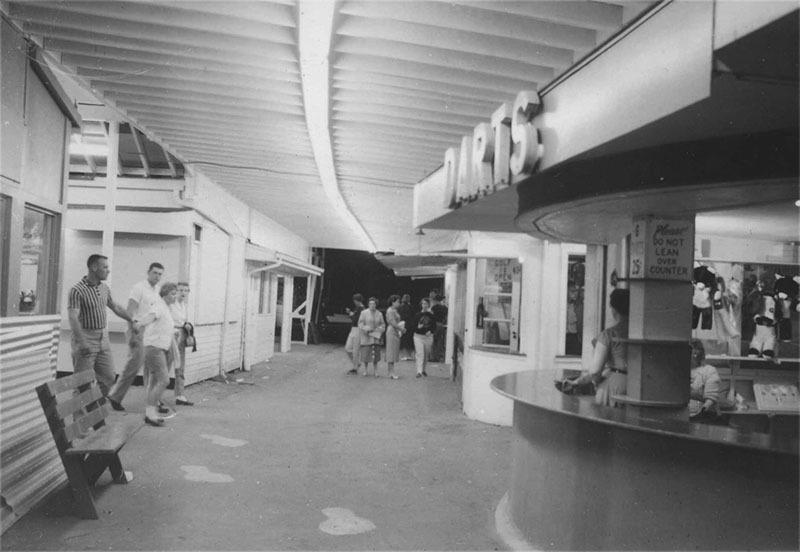 An undated interior view of the Midway. Jack Sargent Collection. An arrow target practice game was among those on the midway. The entrance to the Midway from The Strip. The Golf Avenue entrance to the midway. 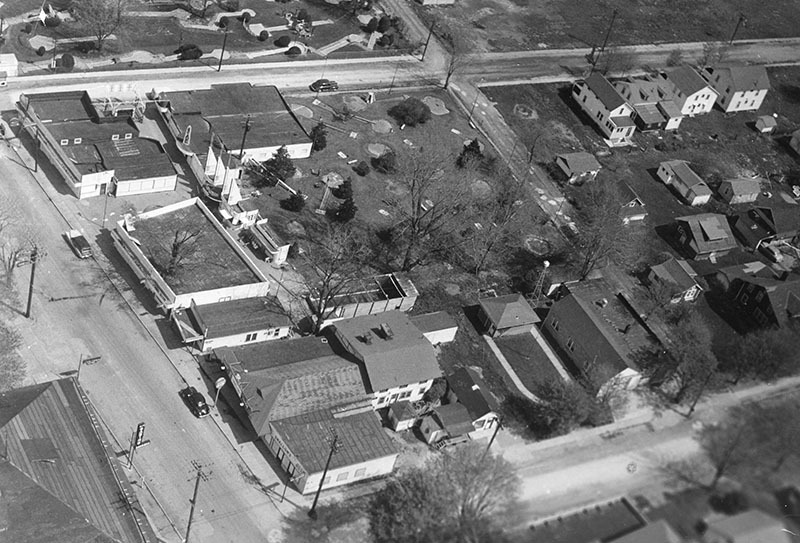 The Olympic Midway, at the corner of The Strip and Golf Ave., is seen in this aerial photo from the Jack Sargent Collection. 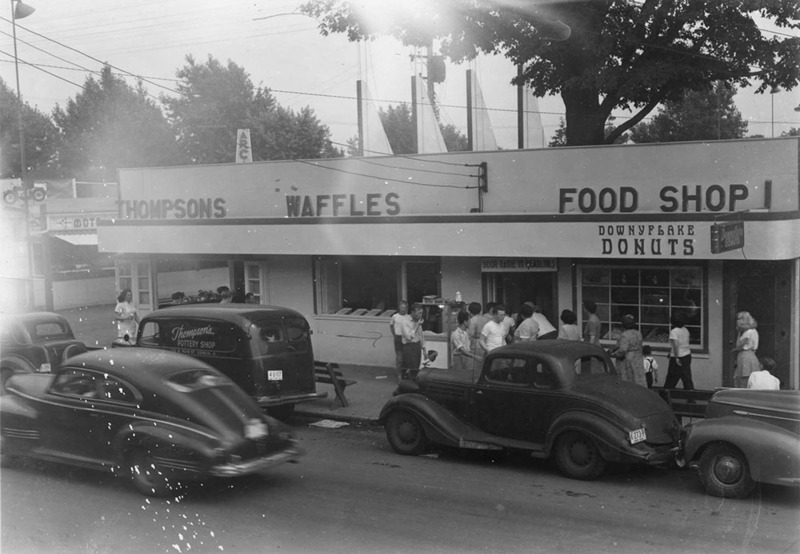 I was thirteen in 1964 when I started working at Madsen Donuts. I folded donut boxes from Memorial Day to Labor Day and made $15.00 a week. Sometimes, on a good donut week, Pappy, (always on Sunday), would reach into his pocket, pull out a wad of banded bills and peel off an extra $5.00 for my efforts. Mom banked $10.00 and I had $5.00 a week for pinball games, Putt-Putt, Clark Bars, and the occasional look into the sinful peep show barrel at Joe’s Fun House. The peep show barrel was a large wooden barrel with an eye size hole (at eye level) bored into its side. Sliding a nickel into the slot would get you a five minute funhouse fantasy. Once the nickel was slid in, the inside of the barrel would light up revealing pictures of scantily clad women. Being brought up Catholic I knew the peep show barrel was off limits. I had some guilty feelings about that type of pleasure, but I had reasoned it all out. From my 13 year old perspective, a look into the peep show barrel was a venial, not a mortal sin. I could go to purgatory, which to me was akin to being grounded, but would not be sentenced to hell. I practiced what I would say to Father Rath in the confessional at Assumption Catholic Church in Geneva and envisioned how this would play out. “Bless me Father for I have sinned. I looked at naked ladies in Joe’s Fun House peep show barrel.” I would not provide any further details. Since he asked few questions, Father Rath would most likely would cut right to the chase. “Son, recite two ‘Our Fathers’ one ‘Hail Mary’. 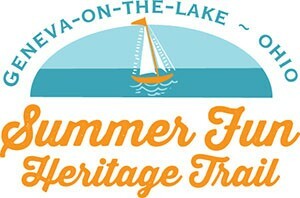 Don’t forget the collection plate on Sunday and no more naked ladies! Let’s now do the Act of Contrition.” If Father Rath knew that I lived at Geneva on the Lake, he would have understood the power of the nickel peep show and the power of places like Joe’s Funhouse. I sometimes wondered whether Father Rath ever visited Joe’s Fun House and whether he ever thought about the fact that one could find beauty in a barrel. A basketball game was part of the midway. Jack Sargent Collection. 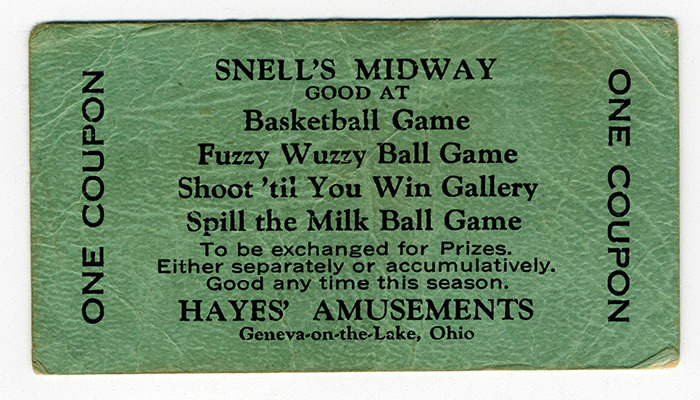 A midway ticket from the Olympic Midway, also known as Snell’s.